Brian Holton, who co-owns Monnik Beer Co. — a sister brewery to Danville’s Beer Engine — doesn’t seem interested in looking back on the journey he and business/brewing partner Ian Luijk have traveled to arrive at their current position. The pair originally wanted to open another Beer Engine location in the building at 1036 E. Burnett Ave. that once housed the Zeppelin Café. That all started back in 2013, and a variety of setbacks caused one delay after another. Most recently, they decided to switch the name to Monnik after learning there were other breweries using the term “Beer Engine” in their names. And now they sit on the cusp of a soft opening. Finally. The goal is to open the doors quietly in early September. 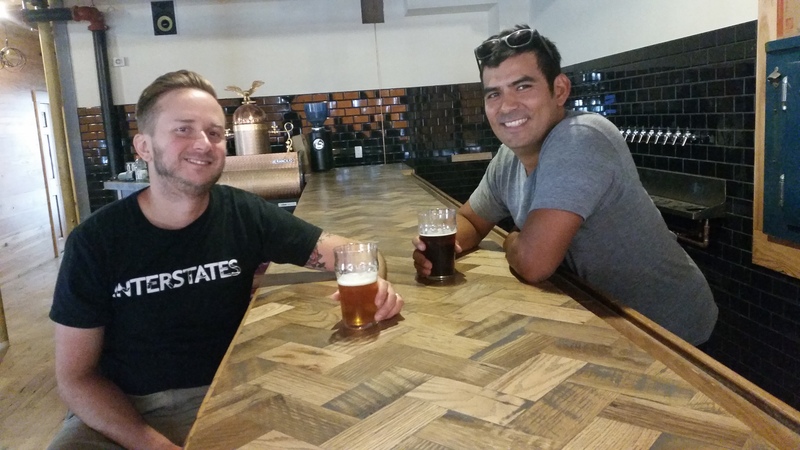 “There’s a lot to do still,” Holton says while sitting at the bar in the brewery’s taproom. He stares down 20 taps. The front door and windows are covered by brown paper, and the space is cluttered with ladders, tools and other signs of ongoing construction. He says that while there certainly have been setbacks, there also has been a keen attention to detail. With a huge walk-in cooler, a deck for outside seating in back and a 10-barrel brewhouse purchased from a brewery in Michigan, Holton and Luijk know they have a great space. The kitchen is huge and ready to be built out with brand new equipment the owners have already purchased. Upstairs in what used to be a karaoke room, there is a stage and plenty of space for a private events area. Holton may actually be most happy that he has office space for the first time ever. And while the food menu is still under construction (expect mostly pub fare), the beer is already brewing. In fact, there are kegs upon kegs of the stuff in the walk-in waiting to be sipped by customers. And there will be plenty of Monnik beer for the drinking — Holton and Luijk say most of those 20 taps will be pouring Monnik brews rather than guest drafts. They also offered up a sampling of what customers can expect in a few weeks. There’s a beautifully floral, Mosaic-hopped IPA (my favorite of what I tried) as well as a citrusy ginger saison that is dry-hopped with Sorachi Ace. There’s a rich milk stout that is almost like drinking a brownie, and there’s an English-style bitter pale ale. There also will be a brown ale and a mild ale that, at 3.5 percent alcohol, might just be the perfect session beer. It’s dark in color but light in body, with a toasty nose and flavor that is vaguely reminiscent of soda bread. 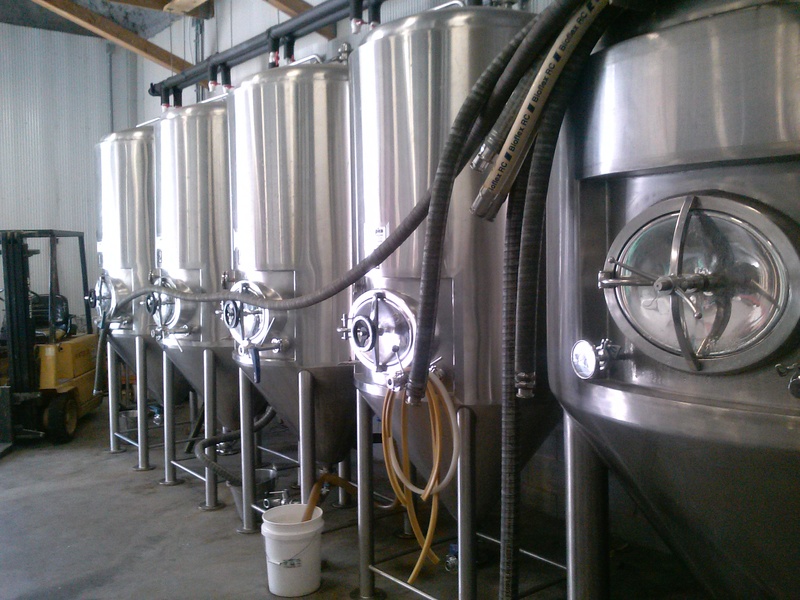 In fact, Holton says that’s the one he enjoys most when he is brewing or working on getting the space ready. But possibly the future hit of Monnik will be Hauck’s American Pilsner, a nod to Hauck’s Handy Store just a few blocks away. The store is, of course, a neighborhood institution and has been since 1910. Many games of Dainty have been played on the streets nearby. Holton and Luijk secured the blessing from longtime owner George Hauck. Beers will be priced according to style, but expect most of them to be in the $4-$5 range, with growler fills costing $13-$16. Of course, there will be more on tap than the basic styles that have been brewed already; Holton likes to experiment, so expect some funky sour beers. Oh, and there is also a space for a barrel room in the basement, and barrels have been secured from Corsair Distillery, which is based in Bowling Green/Nashville. As for the new name, even though it sounds like it means something, it actually doesn’t — much. They wanted a name they could take to a regional or national level. It is actually the Dutch word for “monk,” which, of course, is an easy connection to brewing tradition. While the space still needs a lot more work during a recent visit, it’s clearly in the home stretch. 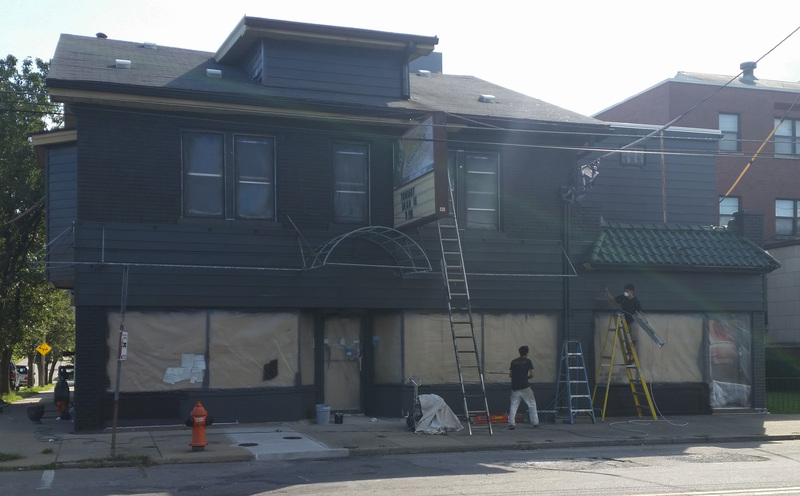 Painters were putting a coat of gray on the old building last week. After nearly two-and-a-half years of planning, problems and hours upon hours of hard work, Monnik Beer Co. is actually just a few weeks away from opening. Tagged beer engine, Brian Holton, louisville beer, Monnik Beer Co.